Developer and publisher Dovetail Games confirmed the latest installment of its next-gen train simulator, Train Sim World®: Great Western Express, will launch August 24. The first-person simulator experience sees you departing the busy London Paddington terminus, where you'll have to negotiate the intense traffic and adverse signals, keeping to rule – and keeping your nerve. Take control of the iconic Great Western Railways HST and command it to 125 mph along the Great Western Main Line; experience a full ‘day-in-the-life’ in Service Mode, which features the recreation of a 24-hour timetable based on real-world activities; hop on and off a range of services as they carry out their duties. Take control – or ride along. 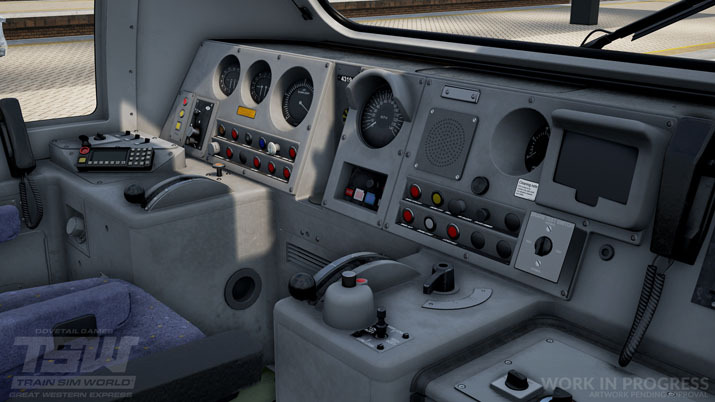 Catering for players of all ability levels with accessible tutorials for beginners and advanced procedures for experts, Train Sim World lets you climb into the cabs of three very different locomotives, experiencing the thrill of high speeds or the pressure of arriving on time. Train Sim World®: Great Western Express is available to pre-order now for existing CSX Heavy Haul owners at the special price of $11.99. Alternatively, a bundle of both CSX and the Great Western Express installment can be preordered for just $41.58, a savings on the post-launch bundle price.